A top frequency histogram is a variation on a frequency histogram that ignores nonpopular values that are statistically insignificant. 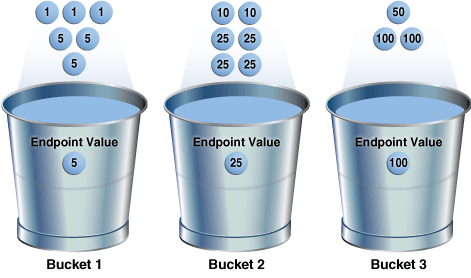 An endpoint number is a number that uniquely identifies a bucket. 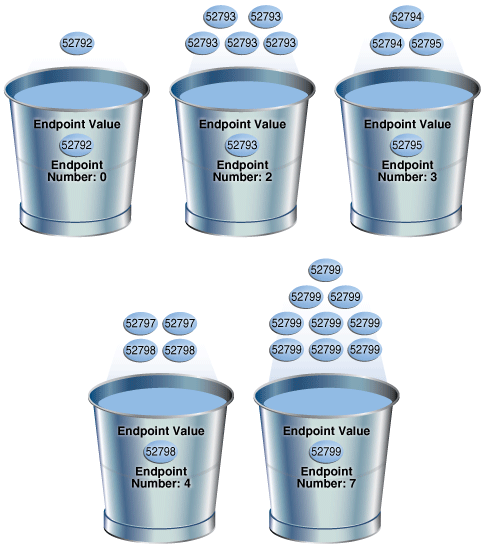 In frequency and hybrid histograms, the endpoint number is the cumulative frequency of all values included in the current and previous buckets. The popularity of a value in a histogram affects the cardinality estimate algorithm. In some cases, to reduce the total number of buckets, the optimizer compresses multiple buckets into a single bucket. 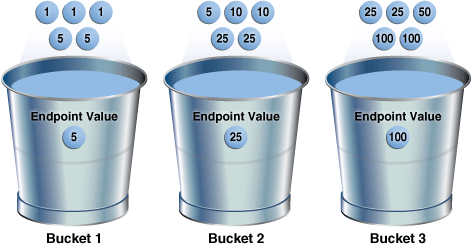 For example, a bucket with endpoint number 100 means the total frequency of values in the current and all previous buckets is 100. 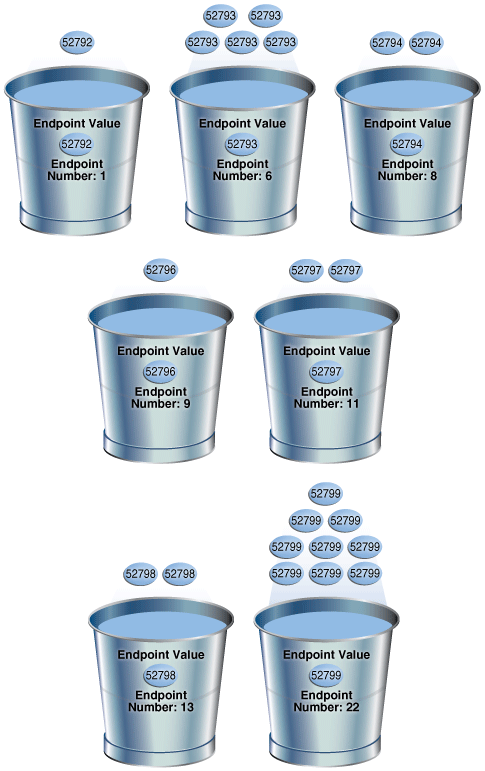 In height-balanced histograms, the optimizer numbers buckets sequentially, starting at 0 or 1. 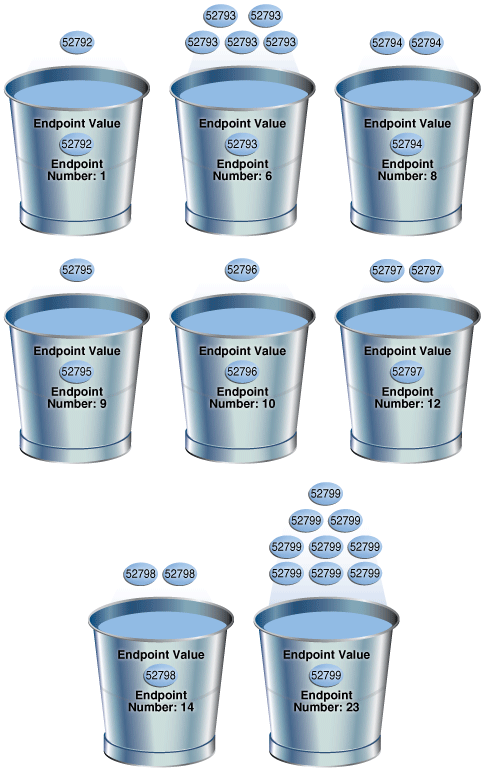 In all cases, the endpoint number is the bucket number. For example, if a pile of 1000 coins contains only a single penny, then you can ignore the penny when sorting the coins into buckets. A top frequency histogram can produce a better histogram for highly popular values. The sh.countries.country_subregion_id column contains 8 distinct values, but the histogram only contains 7 buckets, making n=7. In this case, the database can only create a top frequency or hybrid histogram. In the country_subregion_id column, the top 7 most frequent values occupy 95.6% of the rows, which exceeds the threshold of 85.7%, generating a top frequency histogram. This is another way to stating that the percentage of rows occupied by the top n frequent values is less than threshold p, where p is (1-(1/n))*100. "Criteria For Top Frequency Histograms."